It’s the celebration time as the rising of new sun welcomes a beautiful charm for the farmers who are waiting for bulk productivity in their agricultural lands. We are nearing the most famous and scared festival of India “Pongal” or “Makar Sankranti”, which is usually a very big celebratory time for the South Indians. It is a four day festival signifying wealth and prosperity and commences from Jan 14 to Jan 17, this year. Let’s have a quick run through on what are the specialties and how the festival is celebrated in our state! Jan 14th, 2016 is celebrated as Bhogi festival and it is the time where everyone cleans up their houses and burns the unusable home articles. This is to denote that all the waste is removed from the house and the house is made pure. This particular festival is celebrated in the honor of Lord Indra who is in the form of clouds and people believe that he brings in rain and this festive is celebrated to acknowledge him for helping their agricultural lands. 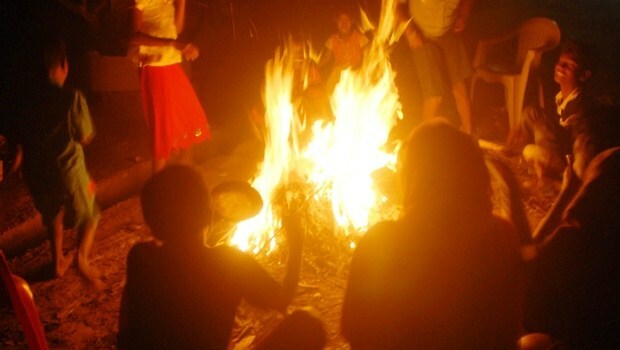 A bonfire is conducted and girls dance around the fire and make the festival a joyous one. 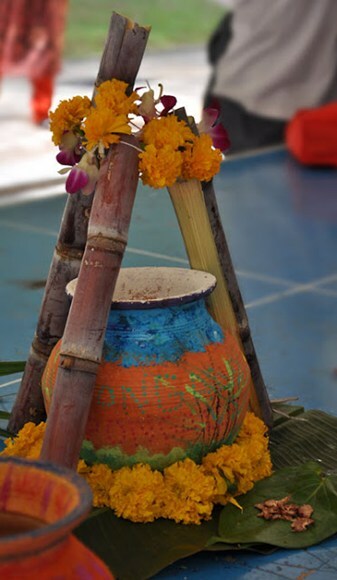 Jan 15th, 2016 is the real Pongal ceremony where people gather outside their houses and conduct pujas and prepare the rice sweet in a earthenware pot. They offer it to the sun-God and say slogans. In the early morning as soon as the sun arises, women craft adorning Kolam designs outside their house. It is the season famous for purchasing turmeric as people flock to the stores to buy turmeric because while they boil the rice, they tie this turmeric plant to the pot. They also affix two sticks of sugarcane in coconut and banana trees. Jan 16th, 2016 is exclusively dedicated to the Hindu holy god Cow and thus it is called as the Mattu Pongal. In villages, every house has a cow and thus people will adorn her with flamboyant garlands, clinking bells around the neck and beautiful beads on their forehead. 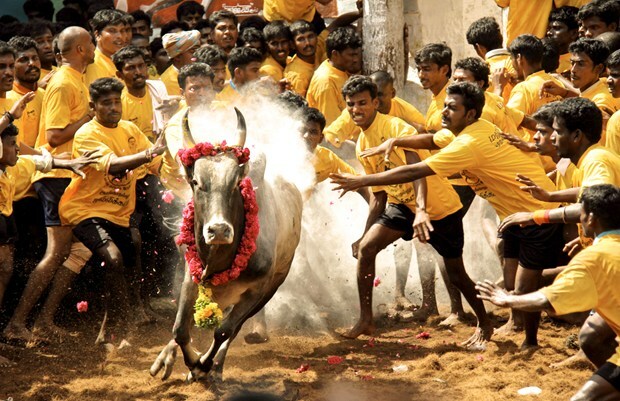 All the villagers gather their cattle and special celebrations called Jallikattu is conducted on this day. The closure ceremony is conducted on Jan 17th, 2016 called the Kanum Pongal. Traditionally during this occasion, women place all the leftovers like pongal, betel leaves and nuts, some sugar cane, turmeric leaves on a banana leaf. They take this and gather in the patio and take the rice and place it in the center of all the other dishes. They pray that their family and brother’s family should flourish from this year and more productivity should be seen. They perform arati for their brothers and then the turmeric water is sprinkled in front of the house. These four days of celebrations marks a complete harvest festival. As people are shifting to cities many of these cultural rich occasions are not conducted here as time and facilities doesn’t permit us. But some special events like Katha Kalakshepam on Pongal, competitions for kids etc. can be conducted on this harvest festival. You can contact Event Organizers in your locality to get some interesting ideas on celebrating this four day festival within your apartment o flats.